There is only a little bit more time before the clock strikes midnight and we're diving head first into a bright new year! So much magic, promise and hope lingers in the air! (Hence...why I'm feelin like 'ella.) ;)I love fresh starts and I know that 2015 will bring a number of surprises and joys into your life. You can (and will!) create a life you love this year. The only caveat is that you must take some time now to prep for it. Before you raise your glass of champagne, take some quiet time with your favorite cup of tea, a journal, and the fuzziest blanket you can find. Relax. Take a deep breath. Begin to write. How was 2014? What worked? What didn't work? What heartbreaks are you still holding onto? What pains, what mistakes, what guilt are you clinging to? Who are you not forgiving? What failures are haunting you? Acknowledge each and every one. Get it out in the open. Get it all out. I release ______________. I let go of _____________. Write those two phrases as often as you need to until it's all out--- until nothing lingers under the surface. 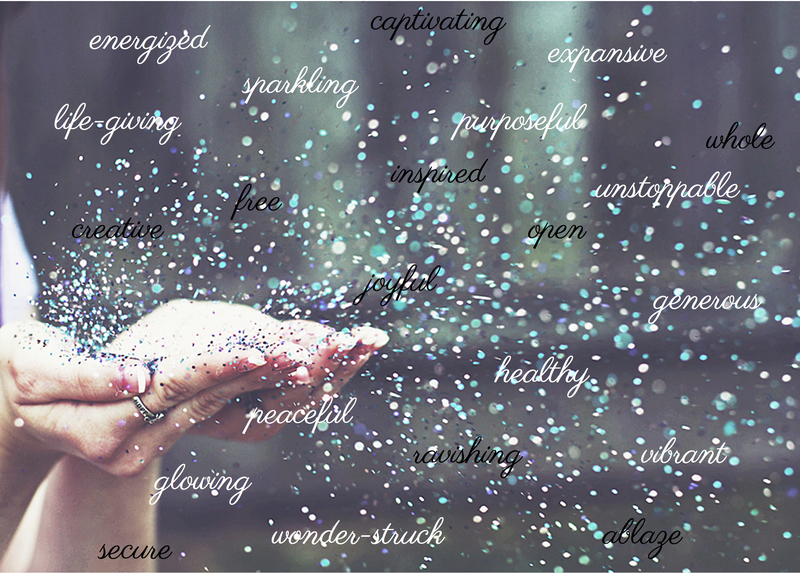 Then choose one word that describes how you want 2015 to feel. Choose one powerful, positive, juicy, delicious, feel-good word. In 2015, I feel _________________. Write this wish, this intention, this declaration every and anywhere you might see it day to day. Write it in your journal. Write it beautifully. Display it on your nightstand, your fridge, in your car, on your bathroom mirror. Let your goals in 2015 be motivated by this declaration. Move towards people, experiences, and activities that bring this declaration to the surface. ENJOY this beautiful year ahead. Enjoy this sweet fresh start. Wishing you everything wonderful, good, and lovely in 2015!